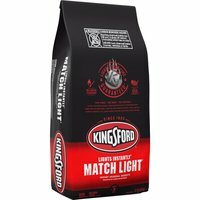 With no preparation and no lighter fluid needed, Kingsford Easy Light Bag makes impromptu grilling fun and easy. Convenient and portable, this single-use bag allows you to charcoal grill almost anywhere. Like Kingsford Original Charcoal, these charcoal briquettes are made with natural ingredients and real wood to deliver an authentic smoky flavor. This charcoal features Sure Fire Groove technology for fast lighting. Just turn the bag on its side, pull bottom flap out, and light as illustrated on bag. 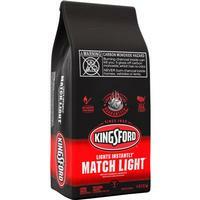 This Kingsford Easy Light bag of charcoal is easy to light. When coals are covered in ash spread evenly and start grilling. This 4 pound bag is perfect for camping, picnics, or sporting event tailgating and will give guests an authentic BBQ experience. 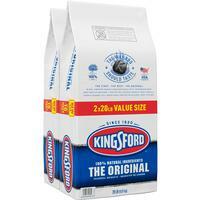 Add Kingsford Easy Light Bag Charcoal Briquettes to your barbecue supplies to ensure each cookout is delicious.